1. The Cerberus is one of the most historically important naval vesels in existence, with world-wide significance in the development of naval architecture and the conduct of naval warfare. Ordered on behalf of the people of Melbourne in 1866 and serving always within Port Phillip Bay, it was the longest-serving colonial warship. As such, the Cerberus has had closer ties with the history of Melbourne, the State of Victoria, and the Royal Australian Navy than any other vessel. 2. The Cerberus was the first fully-armoured fighting ship purpose-built for service in Australia, and the first designed to operate without sails. On the journey out from England in 1870-71 it was the first fully-armoured warship to pass through the Suez Canal. In service, it was the most powerful colonial warship in Australian waters prior to the foundation of the Royal Australian Navy in 1911. 3. Cerberus became the flagship of the Victorian Navy and in 1911, following Federation, was a foundation unit of the newly-formed Royal Australian Navy. The Cerberus history of service was such that the Royal Australian Navy named its training base on Western Port Bay, Victoria, after the ship. 4. Cerberus played a key role in the numerous mock naval battles and military exercises with the shore forts near Williamstown, Queenscliff and Point Nepean. Its remains are a lasting memorial to the times when Victoria feared the threat of foreign attack or invasion in the latter half of the 19th century, and to the overall defence preparations - in which it was a key element of our integrated defences - made to counter such threats. 5. During the First World War Cerberus was used as a floating shore for explosives, and was afterwards recommissioned as HMAS Platypus 11 to serve as a depot ship to the J-Class submarine fleet on Corio Bay during the 1920s. 6. In 1924, after being sold for scrap, most of the more valuable parts were stripped from the ship. Despite this the hull, internal divisions, anchors, turrets and four guns survived. 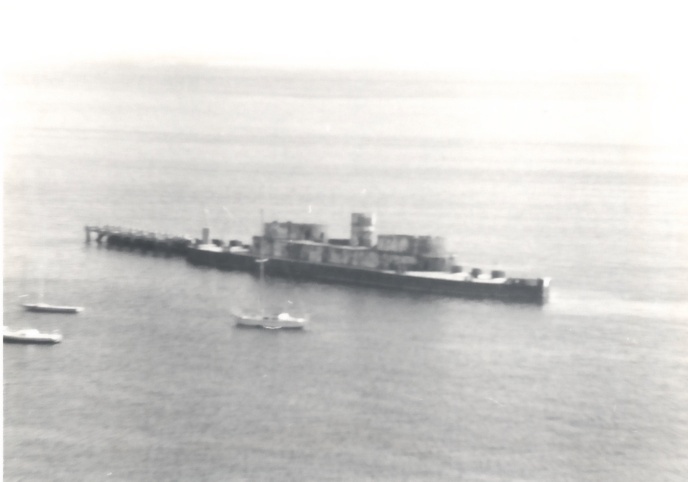 The City of Sandringham purchased the hull for a breakwater in Half Moon Bay, where it has remained for over 70 years. It now represents a unique opportunity to conserve the vessel in some way as a major tourism development. 7. The design of the Cerberus by the eminent naval architect, E J Reed, Chief Constructor for the Royal Navy, was the prototype upon which all British battleships built between 1885 and 1905 was based. It represented a complete departure from the established tradition of wooden, high-sided warships. 8. In an era of experimental vessels, its design was a successful development over that of its ill-fated predecessor HMS Captain, the first large-scale monitor, which capsized and sank in a storm as a result of low freeboard, tall masts and large sail area. As such, it is also a reminder of the outcome of the historic design controversy that raged between E J Reed and Captain C P Coles, inventor of the revolving gun turret and architect of HMS Captain. 9. As the first breastwork monitor built, the Cerberus represented an important step in the evolutionary development which led to the 20th century battleship, and is now one of only two known monitor-type vessels anywhere in the world - the other being the wreck of the original Monitor which foundered off the U S coast in 1862. 10. The archaeological significance of the Cerberus is high, as investigations of the remains may have the potential to answer questions and provide interpretations and education in relation to the development of warships, and the naval technology developed and in use at the time. HMVS Cerberus (Her Majesty's Victorian Ship) is one of the most historically important naval vesels in existence, with world-wide significance in the development of naval architecture and the conduct of naval warfare. Ordered on behalf of the people of Melbourne in 1866 and serving always within Port Phillip Bay, it was the longest-serving colonial warship. As such, the Cerberus has had closer ties with the history of Melbourne, the State of Victoria, and the Royal Australian Navy than any other vessel. The Cerberus was the first fully-armoured fighting ship purpose-built for service in Australia, and the first designed to operate without sails. On the journey out from England in 1870-71 it was the first fully-armoured warship to pass through the Suez Canal. In service, it was the most powerful colonial warship in Australian waters prior to the foundation of the Royal Australian Navy in 1911. Cerberus became the flagship of the Victorian Navy and in 1911, following Federation, was a foundation unit of the newly-formed Royal Australian Navy. The Cerberus history of service was such that the Royal Australian Navy named its training base on Western Port Bay, Victoria, after the ship. Cerberus played a key role in the numerous mock naval battles and military exercises with the shore forts near Williamstown, Queenscliff and Point Nepean. Its remains are a lasting memorial to the times when Victoria feared the threat of foreign attack or invasion in the latter half of the 19th century, and to the overall defence preparations - in which it was a key element of our integrated defences - made to counter such threats. During the First World War Cerberus was used as a floating shore for explosives, and was afterwards recommissioned as HMAS Platypus 11 to serve as a depot ship to the J-Class submarine fleet on Corio Bay during the 1920s. In 1924, after being sold for scrap, most of the more valuable parts were stripped from the ship. Despite this the hull, internal divisions, anchors, turrets and four guns survived. 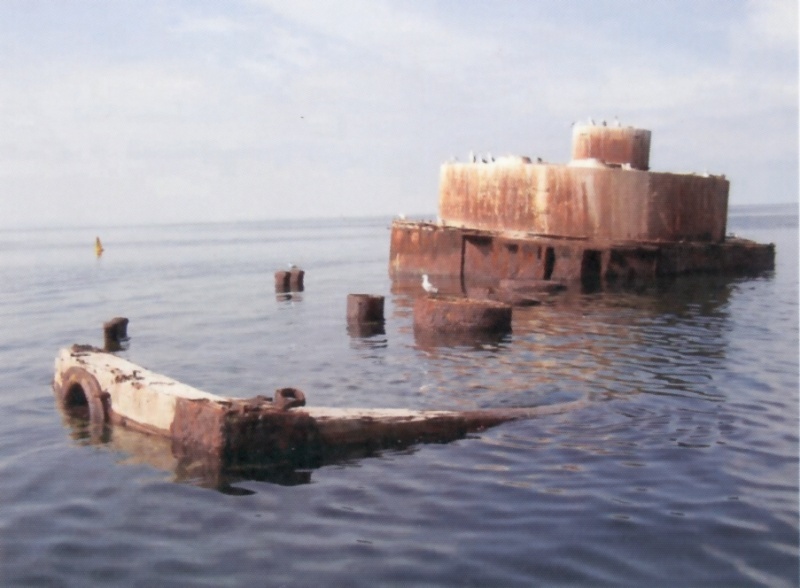 The City of Sandringham purchased the hull for a breakwater in Half Moon Bay, where it has remained for over 70 years. The design of the Cerberus by the eminent naval architect, E J Reed, Chief Constructor for the Royal Navy, was the prototype upon which all British battleships built between 1885 and 1905 was based. It represented a complete departure from the established tradition of wooden, high-sided warships. 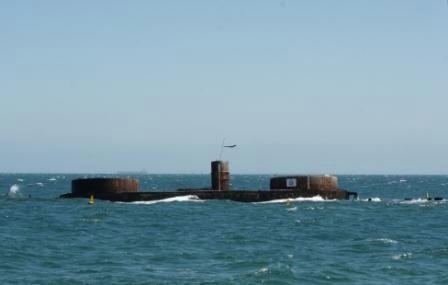 In an era of experimental vessels, its design was a successful development over that of its ill-fated predecessor HMS Captain, the first large-scale monitor, which capsized and sank in a storm as a result of low freeboard, tall masts and large sail area. As such, it is also a reminder of the outcome of the historic design controversy that raged between E J Reed and Captain C P Coles, inventor of the revolving gun turret and architect of HMS Captain. As the first breastwork monitor built, the Cerberus represented an important step in the evolutionary development which led to the 20th century battleship, and is now one of only two known monitor-type vessels anywhere in the world - the other being the wreck of the original Monitor which foundered off the U S coast in 1862. The archaeological significance of the Cerberus is high, as investigations of the remains may have the potential to answer questions and provide interpretations and education in relation to the development of warships, and the naval technology developed and in use at the time.